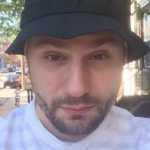 After speaking to Burn Rubber co-owner Rick Williams for a short time, you realize that he doesn&apos;t work in the sneaker industry to make a quick buck. He&apos;s in this to represent Detroit, where his shop is located, to the rest of the world. With the city&apos;s ongoing economic hardships, some might scoff at this concept. But through his sneaker collaborations, Williams is doing the best job he can. "I always try to pick a silhouette that represents something from where we’re from," Williams said. That&apos;s exactly what he&apos;s done with his most recent collaboration with New Balance, this time on the 572: a hybrid sneaker that takes the upper from the 576 and sole from the 580. It&apos;s not just the silhouette that tells a story on Burn Rubber&apos;s New Balance, though. 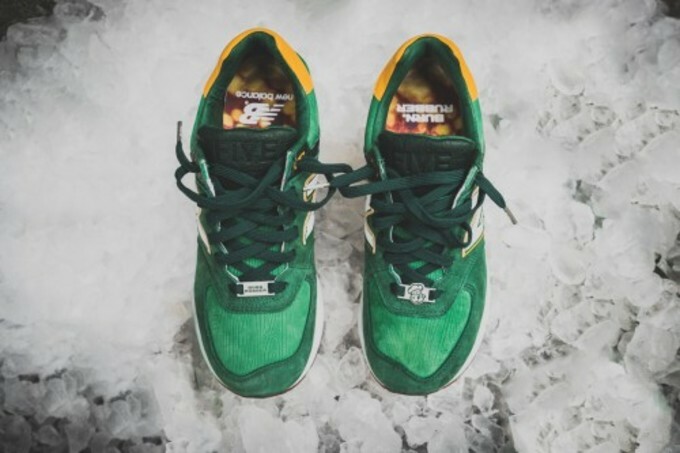 He designed the sneaker to represent Vernors, America&apos;s oldest ginger ale in production, that&apos;s been made in Michigan since day one. First produced in 1866, Vernors is famous for its pre-prohibition style of ginger ale, which used to be aged in wooden casks and has a sweeter profile than what you&apos;d expect from other styles of the soft drink. It&apos;s also wildly popular in Detroit to this day, and that&apos;s what inspired Williams. "This is something that so many people care about. We were like, let’s tell the story," Williams said. "People will get a chance to try it and see something we experience all the time in Michigan." Nearly every detail of the drink was transferred over to the 572. The wood grain on the can is seen on the toe box. The actual liquid was photographed and printed on the insole, and it connects to the gold speckles on the gum sole made to resemble the soda, too. 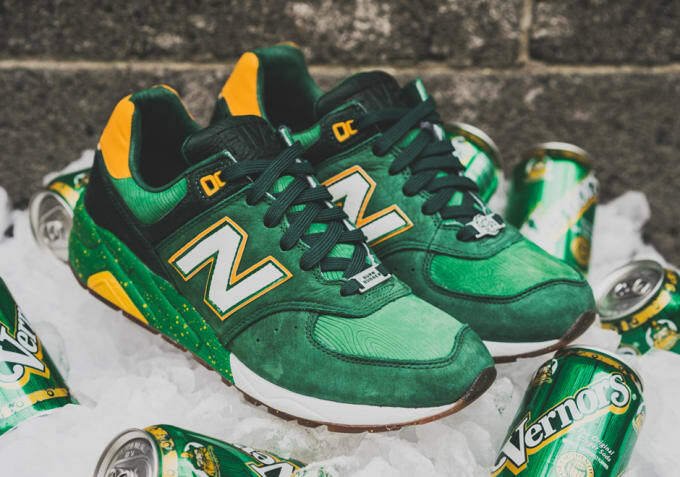 And let&apos;s not overlook the most glaring Vernors reference: the colorway of the sneaker that&apos;s a direct play on the green and yellow that can be found on the can. The only thing missing from the collaboration is any Vernors branding. According to Williams, "We weren’t able to get in touch with the right people. Sometimes if you wait for that, the window would have closed." These Michigan-centric stories are nothing new to Williams. He&apos;s done a collaboration with Reebok in the past titled "Spirit of Detroit," and a previous New Balance 577 that told the history of Joe Louis, a famous boxer from the city. With such an emphasis on the city it calls home — a place that feels distant and remote to the rest of the people who check for sneakers on the Internet — it&apos;s remarkable that Burn Rubber has been able to crossover to those that have never traveled there. That&apos;s in part to Williams&apos; vision to make great product. "At the end of the day, a dope shoe is a dope shoe. I’m not selling it based on the story," Williams said. "The story is secondary. The shoe has to be fresh first. If the shoe is dope, a lot of people are going to rock with it." With that said, Williams still picked the right collaborator, in New Balance, to convey the story of Vernors. The sneaker brand has been based in Boston since 1906, and it&apos;s also the first company to collab with Burn Rubber. 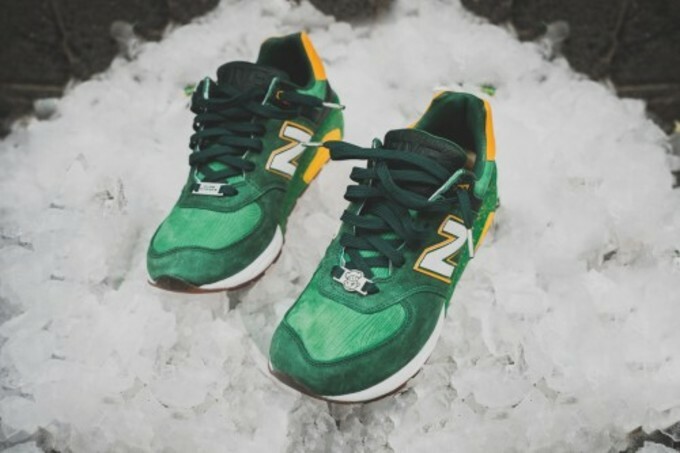 "We have a very good relationship with New Balance, and they’ve always been very supportive of Burn Rubber and what we do here in Michigan," Williams said. This past weekend, the shop held a friends-and-family release of the "Vernors" at its newly constructed store, but they&apos;ll have a regular release this Saturday, November 29, at midnight EST on Burn Rubber&apos;s webshop. For $180, customers will be not only get a fresh pair, but also a little piece of Detroit history to show to the world. As Williams said, "For Burn Rubber, we really try to use our platform to give people positive things to say about Michigan."